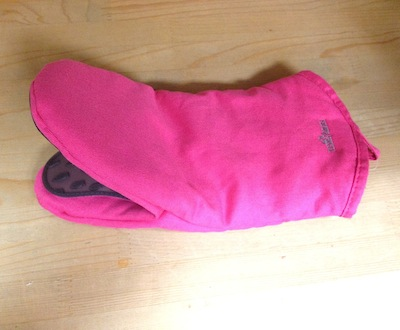 This hot pink oven mitt is stylish but can also protect your beautiful hands. The outside is a soft canvas like material and lined with soft grey cotton. The grip is lined with silicone to help with gripping and further protecting your delicate fingers from the heat. The silicone grip also has a cute fish pattern. Measures 12" long. One size fits all.